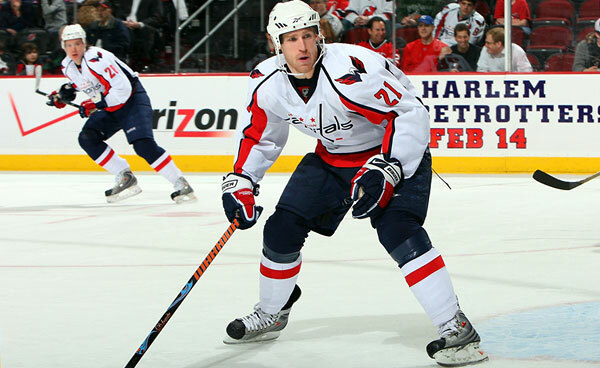 Despite the hockey heartbreak of his life, Washington Capitals forward Brooks Laich took time out of his night to help a stranded motorist. Laich was driving home after the devastating game seven loss to the Montreal Canadiens when he pulled over to help a woman and her daughter change a flat tire. The woman described Laich as "an angel" and "an answer to her prayers." It was baffling to the woman and her daughter that a big hockey star would stop and help them in their time of need. Especially since it was less than hours after the horrible defeat. Laich didn't think it was such a big deal. "It was just a tire. It's a busy spot, on that bridge, and I just pulled over to help them. That's it." He went on to say "just because my day sucked didn't mean that I couldn't help someone else." When asked by a reporter why he stopped to help, Laich replied "Saskatchewan education." These days we are used to hearing negative stories about spoiled, rich athletes who get in trouble and don't live up to expectations as role models. Hockey players, for the most part, have great reputations as being great people. And stories like this, as small as they are, help to maintain this positive image. Thanks for showing great character and class Brooks, even in your time of heartbreak. Probably not a coincidence he was the only one on his team to score in game 7. The Capitals could use more players with that much heart, that's for sure.